Beautiful 4-bedroom single story home situated on a large private corner lot over 9000sf, it features large open kitchen and spacious dining area, living room and family room share 2-way fireplace. Custom fresh paint, tile and wood floor through out. Master bedroom has separate shower, bath tub and walking in closet. it's light and bright with private back yard. 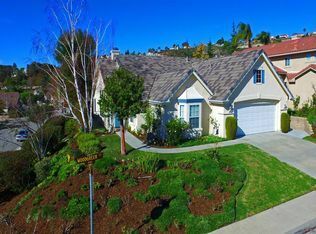 walking distance to award winning Lang Ranch School.Beautiful landscaping with trees and roses. Owner will provide brand new washer and dryer if need it.